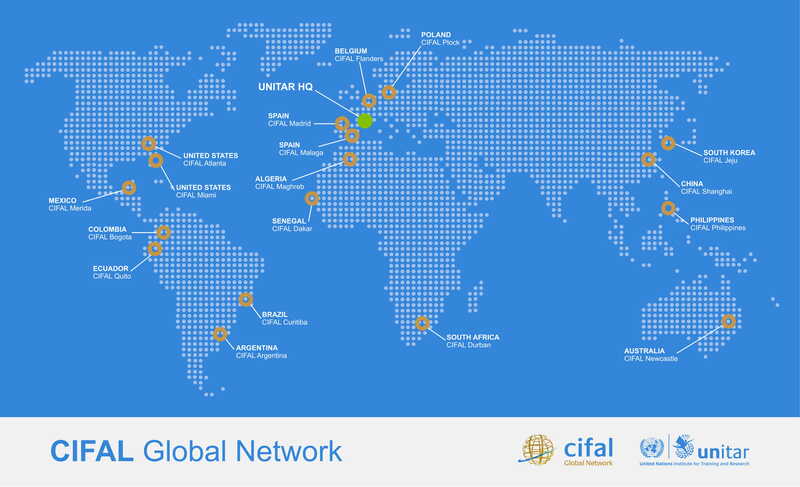 The CIFAL Global Network is composed of 18 International Training Centres for Authorities and Leaders. These CIFAL centres are located across Asia, Africa, Australia, Europe, the Americas and the Caribbean. The network provides innovative training throughout the world and serves as a hub for the exchange of knowledge amongst government officials, the private sector and civil society. This network of affiliated training centres is coordinated by UNITAR’s Decentralized Cooperation Programme (DCP). Every centre is managed locally by a host institution with UNITAR providing academic content, technical support and quality assurance measures for its capacity-building activities. The majority of DCP’s training services are delivered through the CIFAL Global Network. Lecture-Forum: Does Proactive State Protection Policy Lead to Better Worker Welfare?